One of the most popular trainings we deliver at ReThink Media is Building Your Expert Profile, which teaches attendees what they need to include in their staff bios, LinkedIn profiles, and Twitter bios in order to look like an expert. As part of our Twitter theme this month, we want to share with you some of the things that journalists, policymakers, and other influencers are looking to see in your Twitter bio when evaluating whether you are a valuable source. This is your username, how you’ll be identified on Twitter, and what others will need to include in order to send you a message on Twitter. But when people want to send you something, your Twitter handle counts against the 140 characters that person is allotted. So, you need to keep it short, keep it relevant and keep it identifiable. 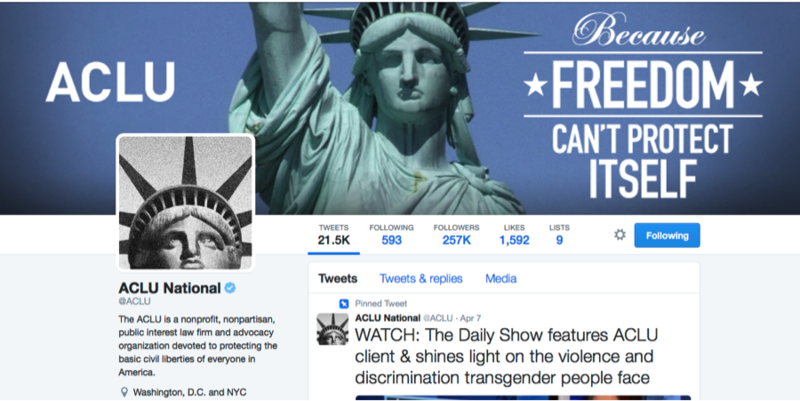 This is easy for the ACLU, whose 4-character acronym is well known. It’s a little harder for Win Without War, a smaller organization whose name takes 13 characters. The Twitter handle can be longer if it keeps it identifiable, but know that every character of your handle counts. So, just be really cognizant of the length of your Twitter handle and what that might mean for the people who want to get in touch with you. As for individuals, it usually makes sense to have your Twitter handle be some (identifiable) derivative of your name or something closely related to the work you do. 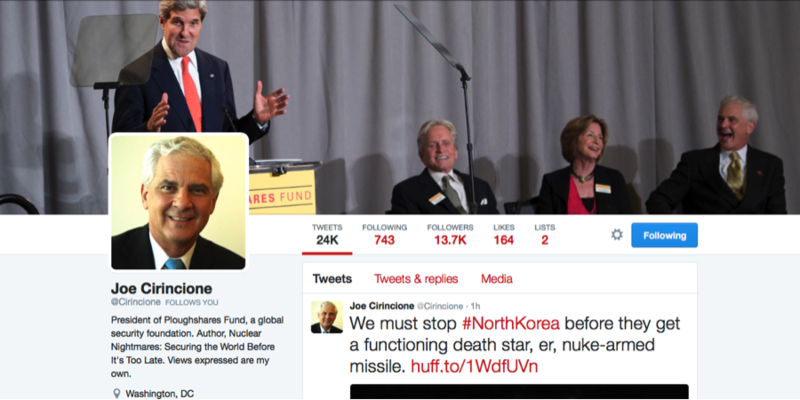 For instance, Joe Cirincione, the President of the Ploughshares Fund, has the Twitter handle @Cirincione. No brainer. 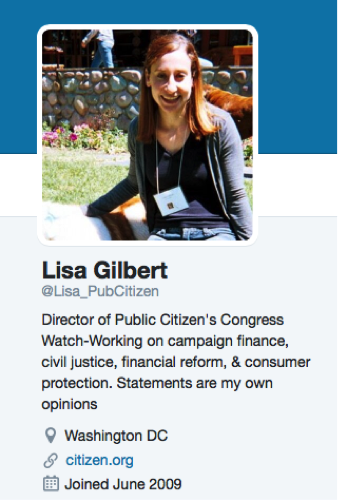 Alternatively, Lisa Gilbert, the head of Public Citizen’s Congress Watch division, uses the Twitter handle @Lisa_PubCitizen. It is still simple and identifiable (though she would need to consider changing her handle should she ever leave the organization). You could also consider a Twitter handle that is related more to the subject matter you work on, like Jeffrey Lewis does with his Twitter handle @ArmsControlWonk. This works for Jeffrey because Arms Control Wonk is also the name of his blog. But for most policy experts, we find that some version of your name is the easiest to identify. Your Twitter avatar is the photo that is associated with your account, and how most Twitter users will first identify your content on the platform. Since Twitter timelines move very quickly, you want as clear and identifiable an avatar as possible. For organizations, this usually means using a high-resolution version of your logo, as the Campaign Legal Center does here. For individuals, we recommend using a photo of yourself and because the image is so small, a headshot works better than a full-body shot. Make sure it’s a professional-looking picture, as well. As cute as your dog is, if you want to look like an expert, make sure the picture is of you and something you would like journalists and policymakers alike to associate with you and your work. For your avatar, upload a large image in as high a resolution as you can manage taken with a decent digital camera, and go for a JPG or PNG file type. Twitter allows photos up to 700KB in size and will shrink it down for you to the appropriate pixel height. 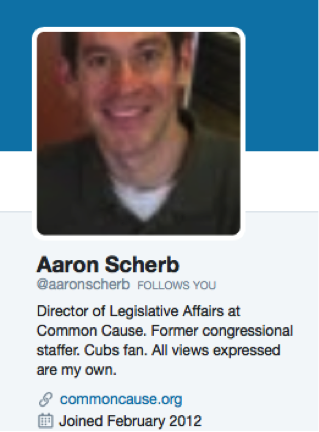 But when somebody visits your profile page and clicks on your image it should get bigger, not stay the same size, and having a high enough resolution image ensures that when your photo enlarges, it does not become pixelated (See Aaron Scherb of Common Cause, below). Try to have your image be at least 400×400 pixels height and width. Twitter will take care of the rest. UPDATE: As part of its attempts to curb online harassment, Twitter is now allowing users to mute accounts with photo-less "Twitter eggs" as avatars. This makes it more important than ever to have a strong, identifiable photo as your profile's avatar. Here’s where you get to describe yourself in 160 characters or less. In that space, you want to get across who are, where you work, your areas of expertise, and possibly something that gives you character. Social media expert Dan Zarrella found that the words you use to describe yourself is correlated with how many followers you have. 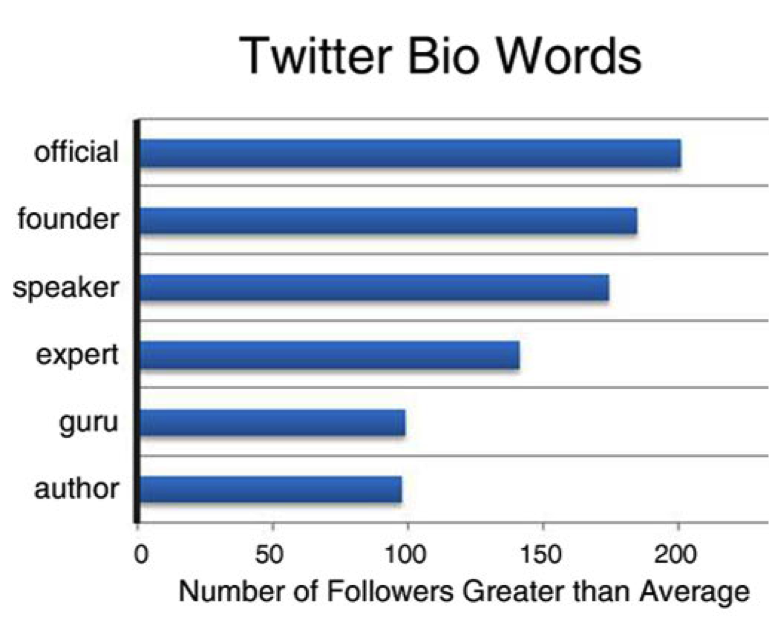 For instance, Twitter bios that use the word “guru” tend to have 100 more followers than the average Twitter account. And while you shouldn’t necessarily just use the word “guru,” the lesson to learn here is to identify yourself authoritatively. 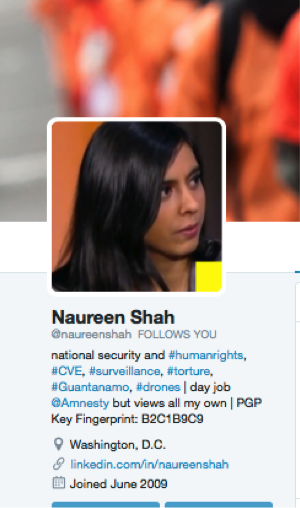 She emphasized the areas she works on, including key hashtags for her issues, described herself authoritatively as an expert on those topics, and included her title and the Amnesty International Twitter handle. 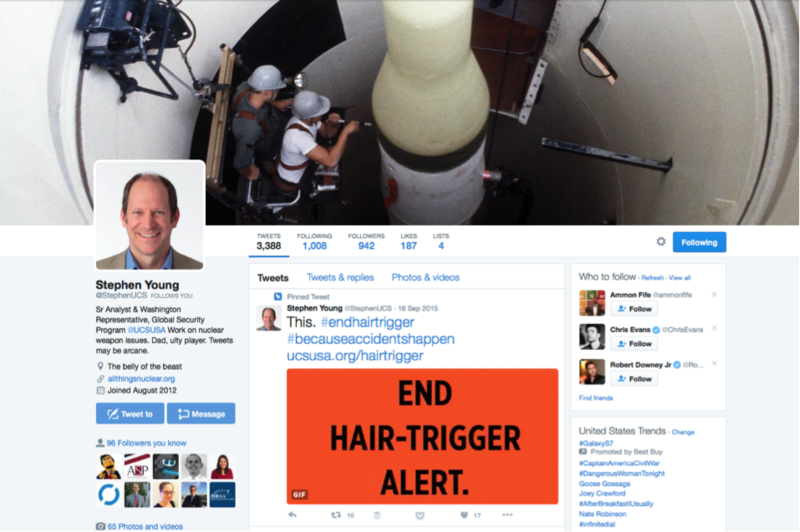 Stephen Young of the Union of Concerned Scientists also has a great Twitter bio, in which he gives his title and program at work, includes the UCS Twitter handle, and discusses some of his hobbies outside of work, emphasizing that he is a real, live human being. But my favorite part of Stephen’s profile is the last sentence: “Tweets may be arcane,” hinting to readers his expertise regarding nuclear weapons. 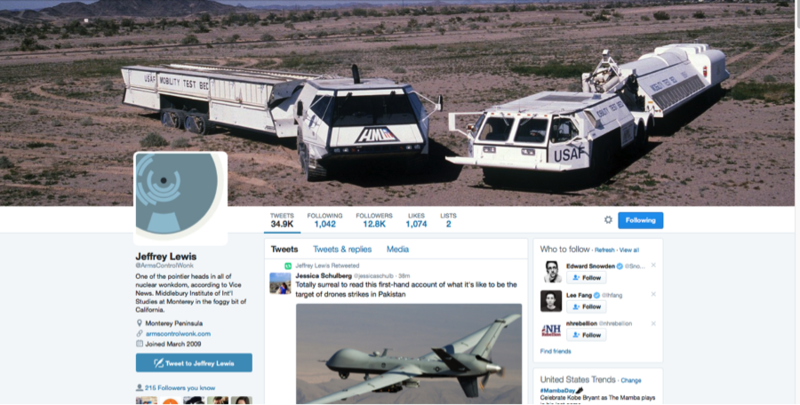 Twitter now allows you to dress up your profile with a cover photo. While this might not seem like an added benefit, it is another way to showcase your work and frame yourself as an expert in a given topic. 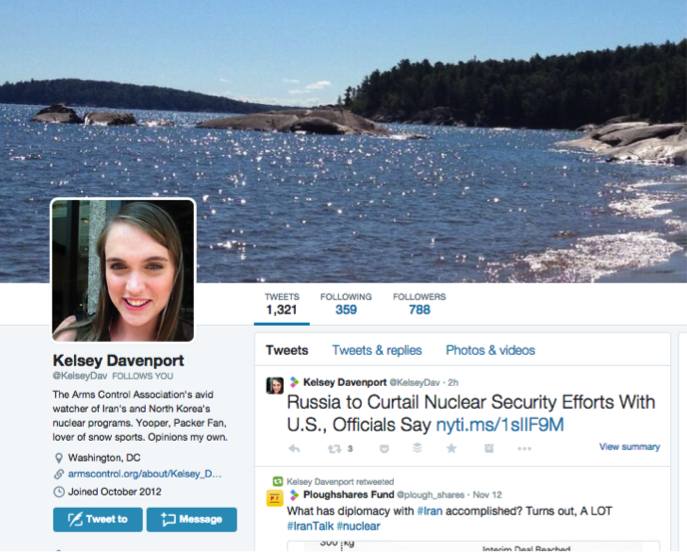 For instance, after attending a ReThink Media training, notice how Kelsey Davenport of the Arms Control Association updated her avatar and cover photo. to a serious nuclear security expert, who journalists and other stakeholders needed to know. See what a difference a couple of pictures can make? People for the American Way’s cover photo features many of the actions the organization helps to organize about the many issues it works on. They’re attractive, compelling, and make you want to learn more. Similarly, the Institute for Social Policy and Understanding features a photo from an event, which is bright-colored, high-resolution, and engages you by putting you in the room at one of their events. You can switch up your cover photo periodically to emphasize different campaigns. A pinned tweet is a tweet that you’ve previously sent that you can pin right to the top of your profile, so it’s the first tweet people see of yours when they click on your Twitter page. This is especially useful if you aren’t tweeting about work 100% of the time: This allows you to ensure that there’s always a relevant, on-message, compelling tweet right at the top of your bio. Not only that, but it’s a great way to give life to a previous link that you want to give another boost to. For example, when pinned tweets came out, people actually found they could get a second round of engagement off of a previously successful tweet by pinning it to the top. Just make sure to update them periodically. There’s always the risk that someone, at a quick glance, could see your pinned tweet and think it was your most recent tweet, that you haven’t tweeted since then. Updating it regularly ensures that at least it’s a relatively recent, still-relevant tweet at the top. 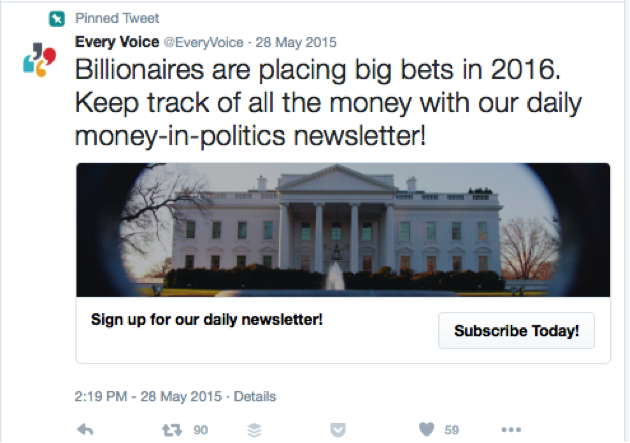 In their pinned tweet, Every Voice highlights the daily money-in-politics newsletter they send out and encourages Twitter users to sign up for it. This conveys that Every Voice is in the know, and you can be too, if you subscribe. This also enables Every Voice to stay in communication with these people after they leave Every Voice’s Twitter page. It’s very smart. 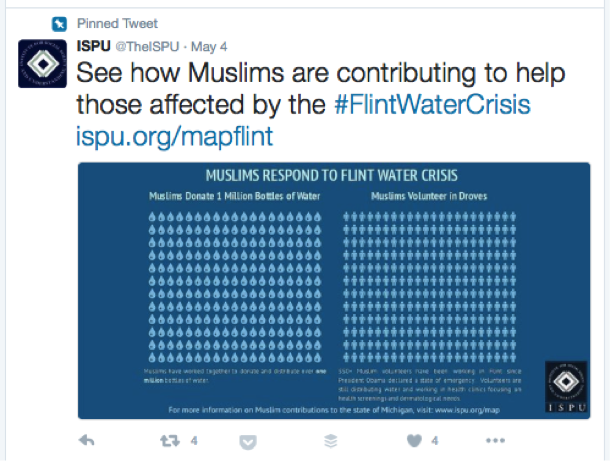 Here, the ISPU pinned a tweet of an infographic and a link to a map about how the Muslim community is contributing to the Flint Water Crisis. It’s attractive, engaging, and points to further resources. It also reinforces that the ISPU is headquartered in Michigan, so is uniquely positioned to help the Flint community. And here, Global Zero highlights a video calling for the end of nuclear weapons. Notice the share text is short, direct, and convincing. The video is another way to catch users’ attention and bring them into the campaign. Now that you have perfected your Twitter handle, avatar, bio, cover photo, and pinned tweet, you look the part! 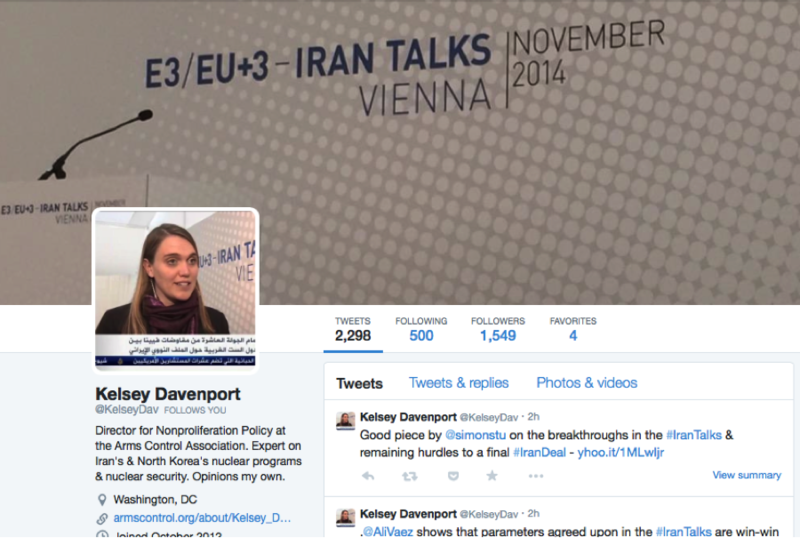 Begin following other policy experts, reporters, lawmakers, and other influencers. Stay tuned for upcoming blog posts about the best ways to build relationships with these audiences!